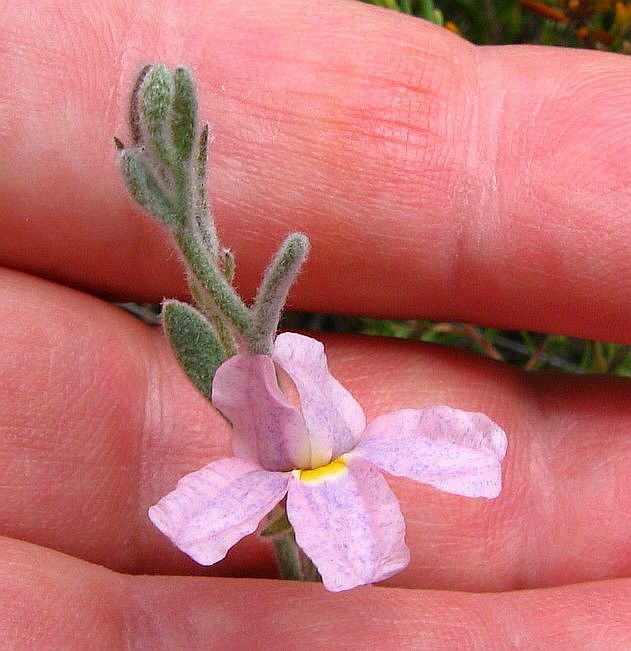 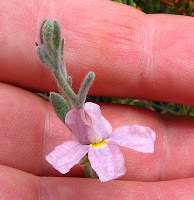 Goodenia incana is softly hairy with bright 2 cm (3/4”) diameter fan flowers, which are mostly blue with a yellow centre, but can also be a delicate pink and occasionally even white. 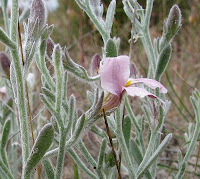 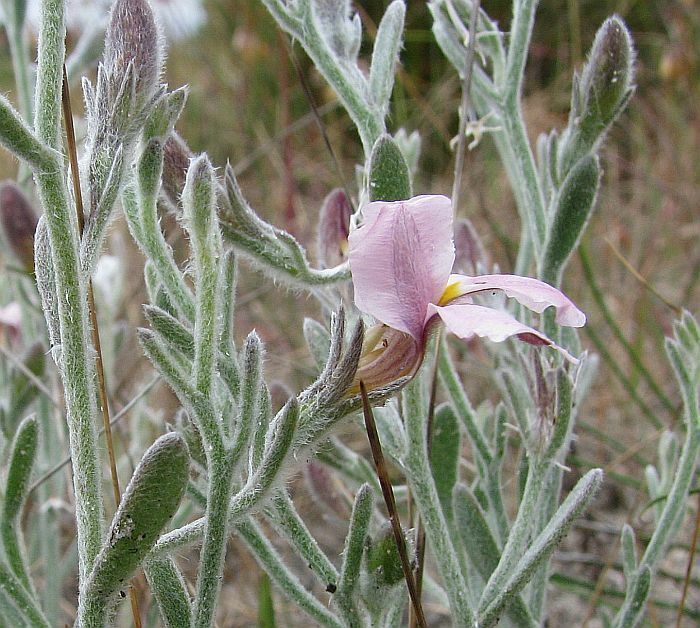 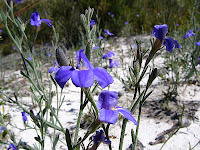 It is a widespread colonising plant favouring disturbed soils and the aftermath of bushfires, where it will readily grow from seed and for this reason is commonly found on roadside verges. It is regarded as a perennial, but in harsh dry conditions it is more of an annual, or will die back to the rootstock to regrow when conditions improve. 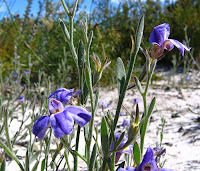 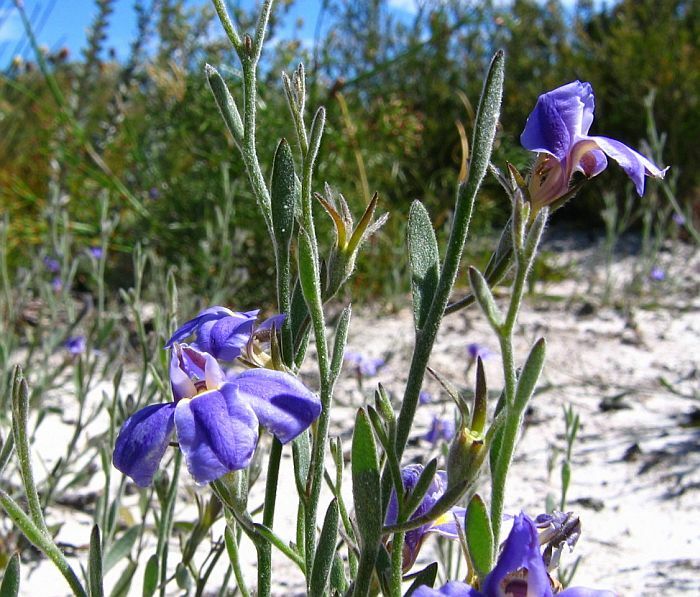 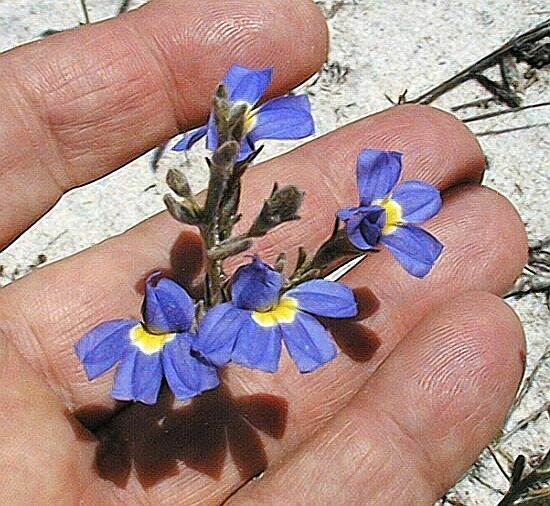 It is distributed in well-drained sandy and/or gravel soils from Israelite Bay east of Esperance, to north of Perth and up to 300 km (190 miles) inland, where it grows to 30 cm (1’) in height and forms numerous small spreading colonies. 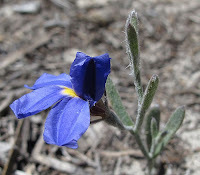 Due to its tangled hairy nature (probably making it susceptible to fungal disease), it appears after lengthening warming days are able to dry surface moisture from any late rainfall. 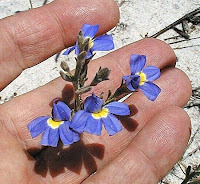 Like many Goodeniaceae species, flowers develop quickly from new growth and have been recorded in bloom from September to January, but locally November/December would be their main period. They probably flower earlier inland where conditions are drier, and later near the coast where rainfall is higher.